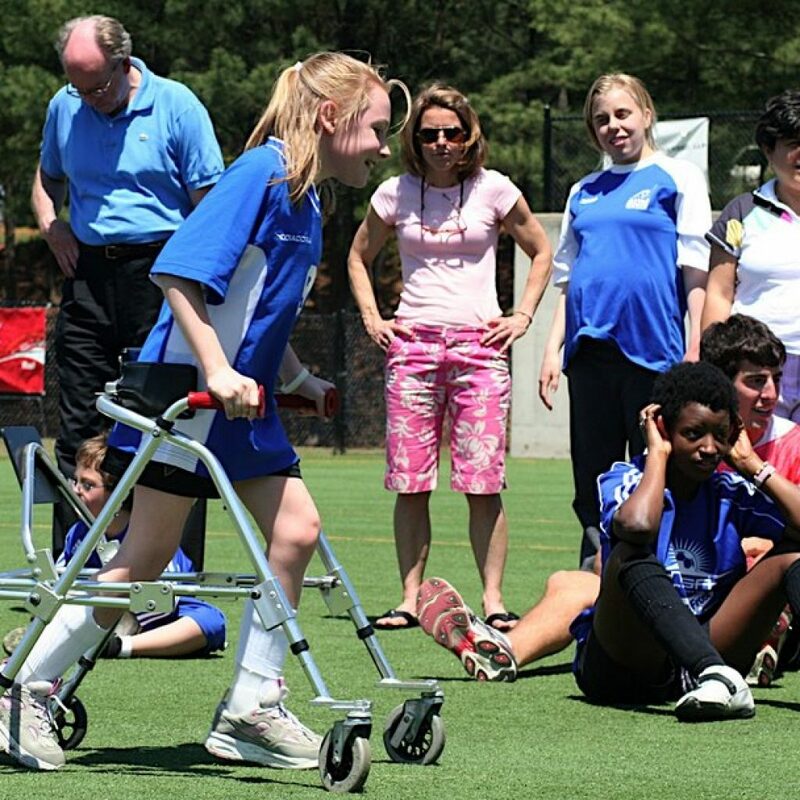 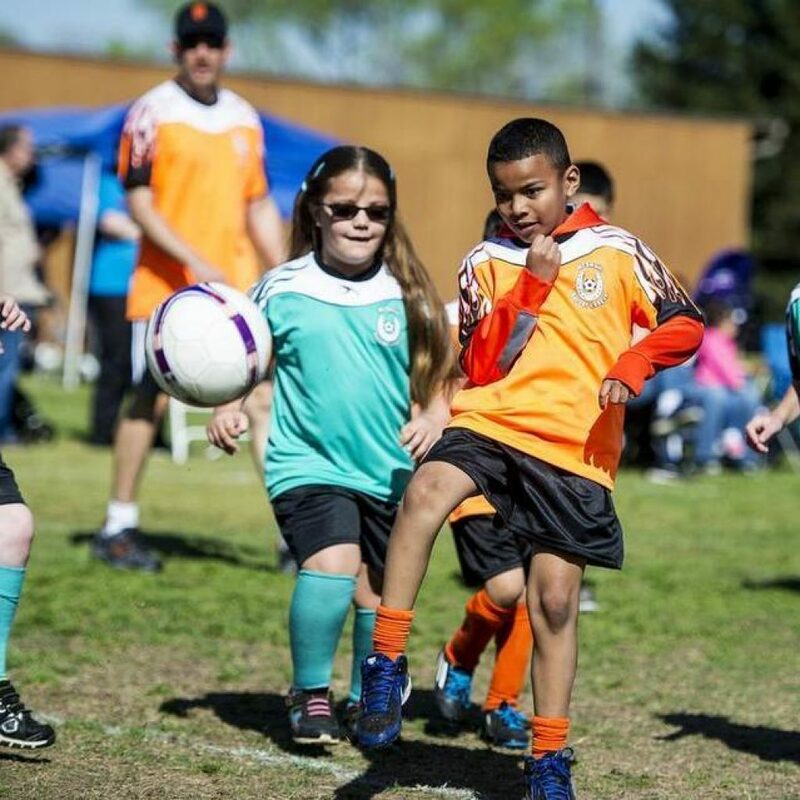 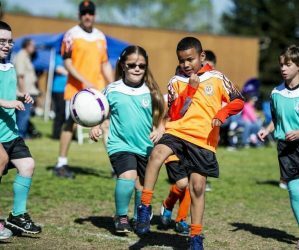 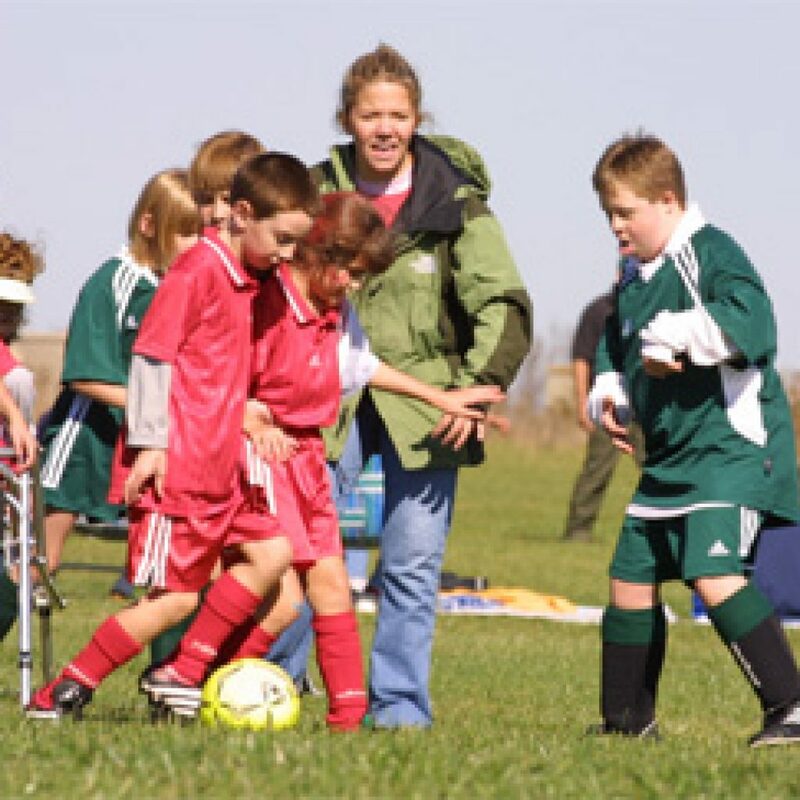 community-based soccer program that is designed to meet the needs of children aged 4-19 years with physical and/or mental disabilities. 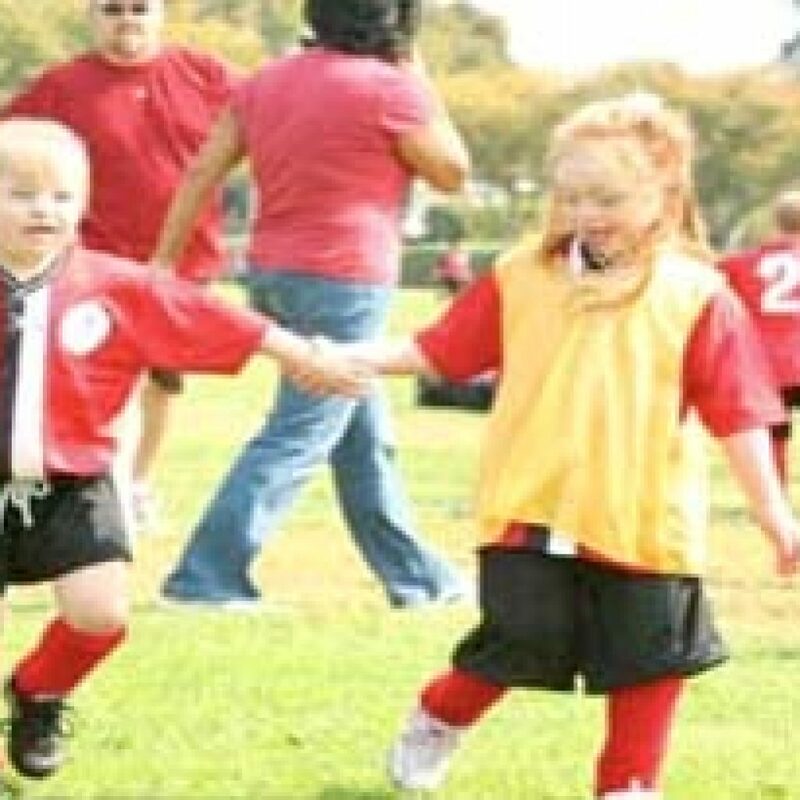 The program is geared toward player development. 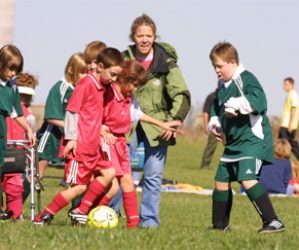 Athletes are placed on teams according to ability, not age. 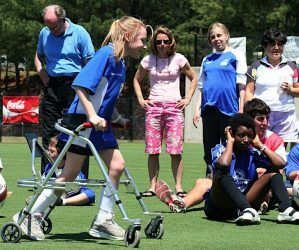 Any child with a disability including but not limited to: A.D.D., Autism, Hearing Impaired, Sight Impaired, Cerebral Palsy, Traumatic Brain Injury, Cystic Fibrosis, Downs Syndrome, Multiple Sclerosis, Muscular Dystrophy, Seizure Disorder and Spinal bifida. 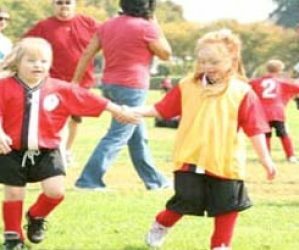 If you have a question about your athlete and whether this program fits their needs, contact our TOP Soccer Coordinators.